The 2018 Acura RDX performance specs make it clear that this is no ordinary crossover. Much like the stunning exterior turns heads around Somerset and the elegant interior has impressed our Essex drivers, the 3.5L V6 of the RDX will leave other Morris County drivers in your rearview. With a 3.5L i-VTEC V6 engine rated at 279 hp and available intelligent all-wheel drive, the RDX is more than capable of taking on what the world sends your way. 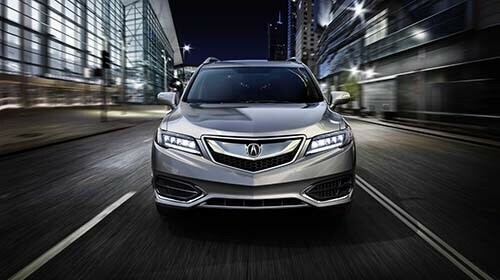 Gone are the days of the inefficient V6 engine, with the 279-hp 3.5L V6 of the RDX delivering up to 252 lb-ft of torque. Acura’s Variable Cylinder Management system helps keep the RDX efficient, too. All-wheel drive gives you the traction you need, and the Acura intelligent AWD system ensures the system engages whenever it senses traction lost, shifting back to front-wheel drive when no longer needed to remain efficient. Drivers who long for the control of a manual transmission can find it with the standard SportShift paddle shifters; just a slight move of the wrist will change gears and keep you in control. Now that you know a bit about what’s under the hood of the crossover, we invite you to experience the 2018 Acura RDX performance specs firsthand. We believe that seeing is believing, and once you’re behind the wheel we think you’ll see why we’re such big fans of the RDX at Autosport Acura of Denville. Contact us today to learn more about the crossover or to schedule your test drive today.